True Blue Plantation is located in the heart of Pawleys Island, South Carolina. Only one mile from the beautiful beaches of the Atlantic Ocean, is an oasis of gentle, southern living. True Blue offers a variety of 2 and 3 bedroom condos for sale, as well as garden homes away from the golf course. Condo prices in this area are very competitive and make for a great permanent residence or a solid rental investment. True Blue is great for vacationing or enjoying the laid back lifestyle Pawleys Island because it offers outdoor pools, hot tubs, a children's playground, clay tennis courts and golf. True Blue's golf course was named the" Fourth Best New Public Upscale Course" in the country by Golf Digest, and as one of the "Top 10 New Courses In America" by The Golfer Magazine as well as being hailed as the #1 Course in Myrtle Beach by Golf Digest. True Blue's golf course is very demanding, yet ruggedly beautiful. Built on the site of a rice plantation, True Blue features uncommon natural elevations, rolling hills and naturally rugged terrain. The rough, sandy areas have been retained and provide striking contrast to the immaculate greens, tees and fairways. The Clubhouse was voted the friendliest in Myrtle Beach. 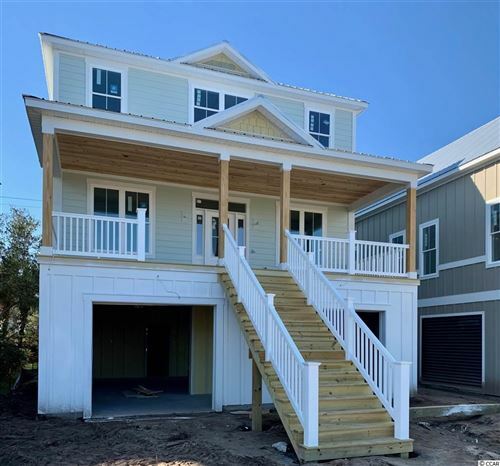 Whether you are visiting, vacationing, investing or purchasing real estate in Pawley Island, True Blue is a must see! Along with many attractions within short driving distance, True Blue in Pawley Island, SC, between Murrells Inlet and historic Georgetown is southern living at its best. Residents and visitors enjoy shopping, fishing, boating, crabbing, Brookgreen Gardens, Huntington Beach State Park, or just basking in the sun on the beautiful white beaches! Come see condos beginning at $125,000 with a RE/MAX Southern Shores agent. RE/MAX Southern Shores has a reputation of excellence and personal integrity. Our goal is to exceed your expectations throughout the entire real estate process. Our skilled agents are dedicated to your needs; whether your interest is purchasing a primary residence, a second home for vacation, or an investment, RE/MAX Southern Shores agents draw upon a wealth of knowledge and experience. Call RE/MAX Southern Shores today at 843-249-5555 to make your dreams of southern living at its best come true!